Would you like to take a nostalgic trip from Galata to the Kula of 1930’s to acquaint yourself with Jewish culture and heritage? 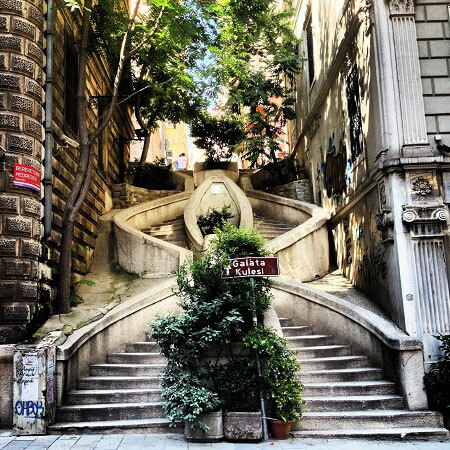 Starting from Şişhane Square, a thorough program awaits you where you would be visiting Neve Şalom, Italian and Ashkenaz synagogues and continue to trace the footsteps of fishmonger Avraam, greengrocer Nesim, the delicatessen owner Yomtov and many others for a breath of yesteryear’s Galata while discovering neighborhoods inhabited mostly by Jews in the past. Our tour guide reserves the right to make changes in the program because of road, weather or unusual security conditions. In our tours, children aged 00-06 participate free of charge.